The Washington Apple is a fabulous and fun drink. It's a tasty whiskey cocktail that combines Crown Royal, apple schnapps, and cranberry juice to create a delicious sweet and sour fruit drink. You'll also be delighted to know that it's incredibly easy to mix up. Over the years, the taste of the Washington Apple has gained notoriety in the bar alongside other Appletini-like recipes. It's such a popular mixed drink that you can serve it as a classy martini, a party shooter or on the rocks in either tall or short glasses. If you go the tall route, add more cranberry juice to taste. Otherwise, in all versions of the drink, the ingredients are poured equally. That helps to make this an easy drink to remember. On the Rocks: Build the ingredients in an ice-filled old-fashioned or highball glass and stir well. Add an apple slice or more cranberry juice if desired. Washington Apple Shot: Shake 1/2 ounce of each ingredient with ice and strain into a chilled shot glass. Add Soda: Some drinkers prefer their Washington Apple with a splash of soda. Choose a lemon-lime soda like 7-Up or go with club soda or ginger ale. It can be added to any style of drink; pour just a splash in martinis and shots and add a bit more to tall glasses. How Strong Is the Washington Apple? The nice thing about drinks like this is that they are the same strength no matter how it's served. On average, the Washington Apple weighs in around 16 percent alcohol by volume (32 proof). That is when it's made with 80-proof whiskey and DeKuyper's Sour Apple Pucker (or another 30-proof schnapps). The Washington Apple will be stronger if you choose not to add ice (via shaking or in the glass). The drink will be weaker if you choose to pour more cranberry juice or add soda. 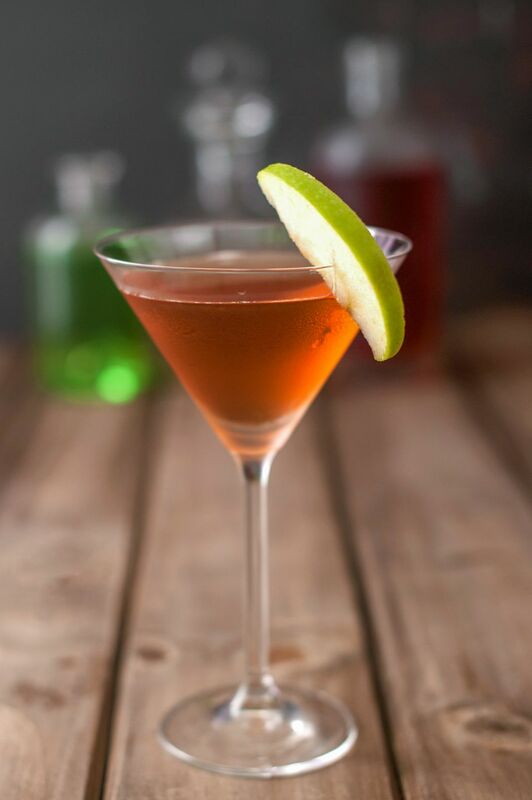 The Washington Apple is a relatively mild drink when compared to the likes of the martini, which is almost twice as strong. However, drinkers need to remain aware that sweet drinks can be deceiving. Drinks like this may be just a little too delicious because the sugars make you thirstier, which can lead you to drink more. Keep this in mind and combat the sugar craving by drinking water alongside or in between your Washington Apples.